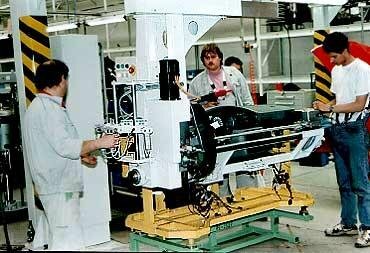 The manipulator serves for the assembly of the cockpit onto the bodywork of the car. The servomotor, the pneumatic-driven motor and the pneumatic cylinder ensure the movement in three axes. The robust construction of steel profiles enables the very precise and safe manipulation with the cockpit.